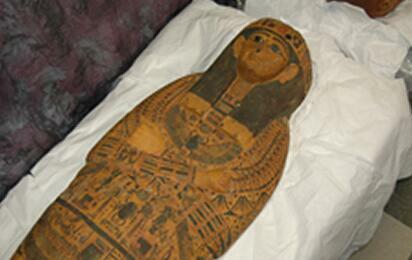 The Cultural Property, Art and Antiquities Program is unique to Homeland Security Investigation's (HSI) portfolio. Returning a nation's looted cultural heritage or stolen artwork, promotes goodwill with foreign governments and citizens, while significantly protecting the world's cultural heritage and knowledge of past civilizations. The theft and trafficking of cultural heritage and art is a tradition as old as the cultures they represent. What has changed is the ability of cultural pirates to acquire, transport and sell valuable cultural property and art swiftly, easily and stealthily. These criminals operate on a global scale without regard for laws, borders, nationalities or the significance of the treasures they smuggle. Federal importation laws give HSI the authority to take a leading role in investigating crimes involving the illicit importation and distribution of cultural property and art. Customs laws allow HSI to seize cultural property and art that are brought into the United States illegally, especially when objects have been reported lost or stolen. Specially trained investigators assigned to domestic and international offices partner with federal, state and local agencies; private institutions; and foreign governments to conduct investigations. These entities share HSI's mission to protect these objects and preserve cultural heritage. Since 2007, HSI special agents have participated in a training program to learn the latest techniques and trends for conducting criminal investigations of cultural property. As part of this program, the Smithsonian Institution's Museum Conservation Institute provides HSI special agents with on-site training on how to handle, store, photograph and authenticate cultural property and works of art. The public, government and private institutions often aid HSI in identifying, investigating and prosecuting illicitly trafficked cultural property. If you have information about the illicit trade of cultural property or art, call the HSI Tip Line, 1-866-DHS-2-ICE or report tips online.